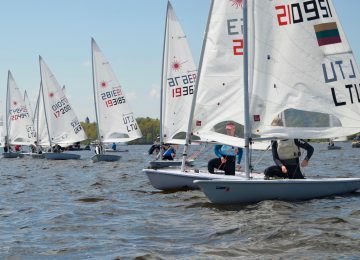 Registration is open for the next 2018 Laser Europa Cup event in Roses, Spain. Join us now and enjoy of Autumn’s beautiful sun and sailing conditions by the Mediterranean sea. The next 2018 Laser Europa Cup ESP will take place at the GEN Roses, at the Costa Brava, Spain, from October 19th to 21st. 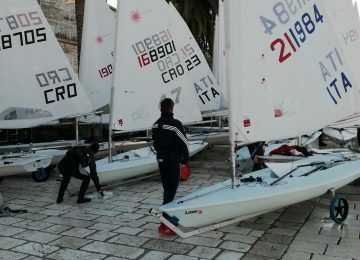 All the Laser Standard, Laser Radial and Laser 4.7 are invited to participate. You can download NoR here. 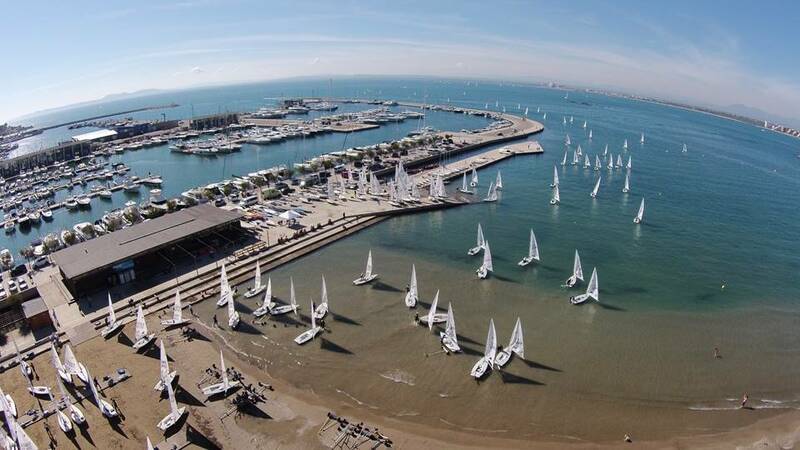 It will be a spectacular Laser Europa Cup competition, as it was in the last 2014 edition here, where over 120 sailors filled the Bay of Roses with their sails from 13 different countries. 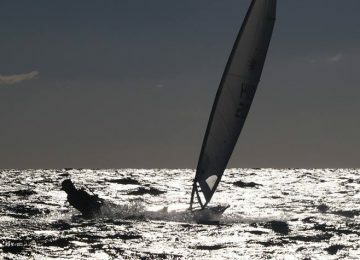 With an impeccable consistency, Swiss sailor Guillaume Girod SUI was the overall winner in that occasion, finishing ahead of Belgian Matthias Van De Lock BEL and Lithuanian Martis Pajarskas LTU, who had a hard regatta to decide the second and third place on the podium. 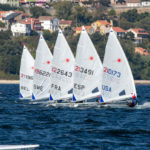 In the Laser Radial class, Catalan sailor Mon Canellas ESP (C. N. Cambrils) was first among Men’s fleet, followed by Hector Domínguez ESP (R.C.R. Alicante) and Ramiro Foguet ESP (Nautico de Mahón). 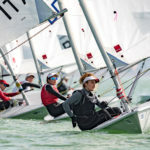 Women’s fleet was led by the Olympic sailor Mònica Azón ESP (C.N. Masnou), escorted on podium by Aina Bauza ESP (Real Club Náutico de Palma) and Andrea Nordquist SUI. 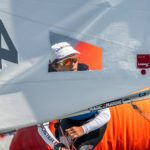 Finally in the Laser 4.7 competition was Swiss sailor Asya Luvisetto SUI who finished first overall, followed by also Swiss Lucie Ben-love SUI and Paula Lissorgues ESP (C.N. Campello). Laser 4.7 men’s podium was composed by Albert Carcellé ESP (Altafulla), Marcelo Cairo ESP (Cambrils) and Guillaume Rol SUI. 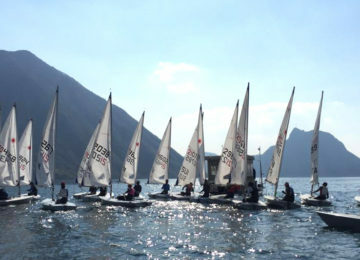 We’re aiming to increase participation this year and share a wonderful sailing weekend together! Register now completing this application form. Entries are closing on Oct. 12th. Main information in Catalan here. 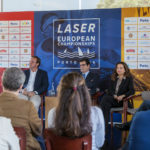 2018 Laser Europa Cup Spain – Event overview. 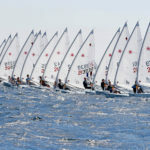 2018 Laser Europa Cup Spain – Notice of Race. 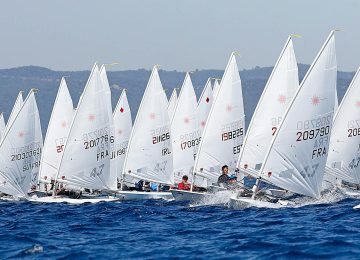 2018 Laser Europa Cup Spain – Entry list. 2018 Laser Europa Cup Trophy – Provisional results. Report by Agustín Argüelles – EurILCA | Source and photos: GEN Roses.